Back in October, Adobe made it possible for Lightroom users on iOS to download and use the image editing app, sans the Creative Cloud subscription requirement. Now, the same can be said for Android, with version 1.4 of Lightroom on Google Play also being offered free of charge. Adobe is considered an authority in the world of image editing. But often, would-be users of its considerable app range are priced out of the market. Times are changing across the wider software landscape, though, with more and more apps being offered for free in order to achieve legitimate installs. This free-to-download or 'freemium' model has garnered its fair share of resistance during its recent rise to prominence. But software makers -- particularly the likes of Adobe whose Photoshop suite is considered among the most-pirated on the planet -- see it as a necessary stance to combat unauthorized downloads. Strictly speaking, Lightroom isn't a freemium app, in that you can download and make edits on your mobile device to your heart's content. But, if you want to sync your creations with desktop machines, you will need that Creative Cloud subscription, which seems a must-have for those seeking a seamless working environment. Even without the CC support, you can go ahead and edit raw DNG files, as was made possible through an update to the mobile app earlier on this year. 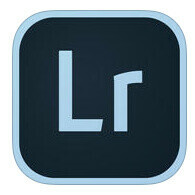 To those who just wish to revel in some of Lightroom's considerable features, it's a worthwhile download as is. For the serious image editor, though, that Creative Cloud subscription would seem a necessary addition, if not an essential one. This is why powerful CPUs are needed - for stuffs like this! Mine too... with 8MP files it's ok, 12MP gets slower , 16 to 24MP is a PIA. In other words, with current camera sensors easily exceeding 12 MP, faster processors are a must. It handles 38MP files without an issue, my 8yr old pc with ddr2 ram at that, 4GB total. So hardly a 'power house'. The 801 should be fine. Though I haven't yet tested this out on some test phones and loading a 38MP file into it. Might need to have the note 5 get a crack at it. More power is always good. Not really that the pc handles it or that the 801 can? But the mobile versions aren't as powerful as the x86 versions. But should offer enough for typical consumers. I wonder if Dreamweaver will ever make the mobile cut? Hopefully Dreamweaver will. They were talking about bringing it to iPad Pro and the newest iPhones. They already have the entire suite basically already on iOS, just not the full powerful programs we are used to using on PC, obviously. What was the orininal price? Word to the writer. Mobile version of Adobe software isn't going to stop or stave off piracy. The mobile version still don't do exactly what the desktop versions do. Also, most pirate go after the full suite, not just the individual options. I miss Macromedia.